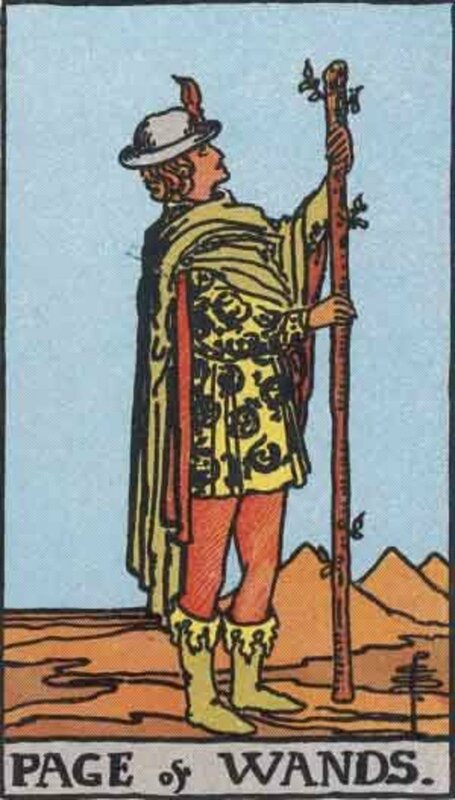 The Pages in tarot are the explorers, they are the "young 'uns" who are prepared to take risks in their particular arena. They are on the leading edge and represent future discoveries and knowledge. They push the boundaries and are always seeking, questioning, and assimilating information. The Pages also demonstrate their immaturity—not necessarily negatively, but in ways that older people need to pay attention to. It is too easy to brush off someone's point of view because they are young. 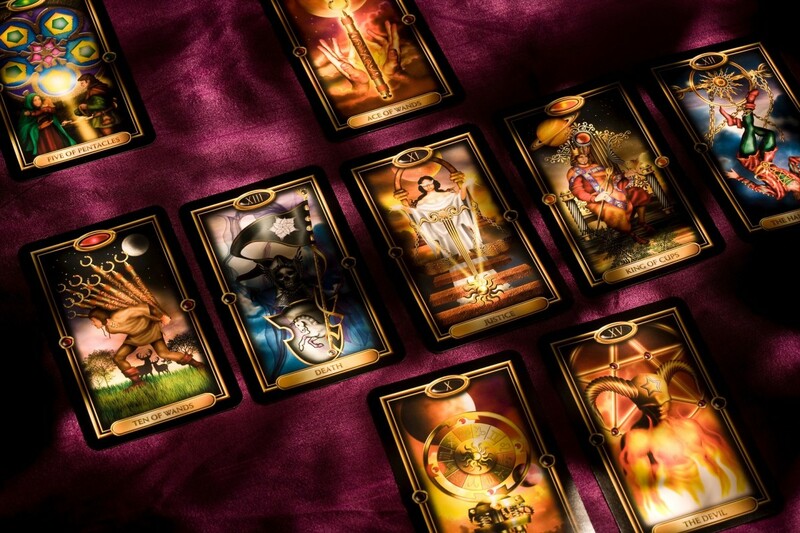 Court cards are the personalities of tarot—sometimes they will represent a real person but often they will represent the sort of situation that the seeker is (or will be) involved in. This is an in-depth look at that feisty character—the Page of Swords. 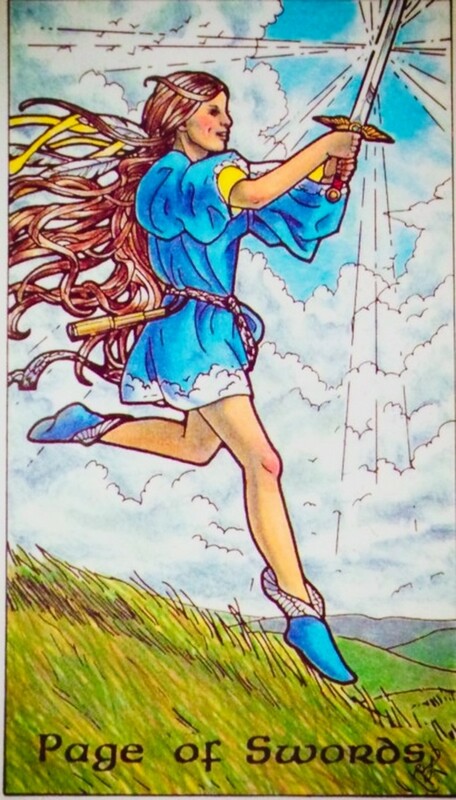 The Page of Swords, as illustrated by Pamela Coleman-Smith in the Rider-Waite Tarot deck stands on a hill in a slightly balletic pose, his weight firmly on his left foot with his right leg extended behind him, as though poised for action. He looks back over his right shoulder, with his sword held high to the front. His hair is blowing in the wind, as are the scurrying clouds above. He wears a purple tunic over a yellow blouse-y top and tights (hose). He wears long, red, lace-up boots. There are wind-blown trees and mountains in the background. A flock of birds are flying high in the sky. In a reading the appearance of a Page of any suit can indicate the beginning of a project, educational course, career or relationship. They are a little like Aces in that respect, but, whereas Aces are all about potential, the Pages are a little more focused. 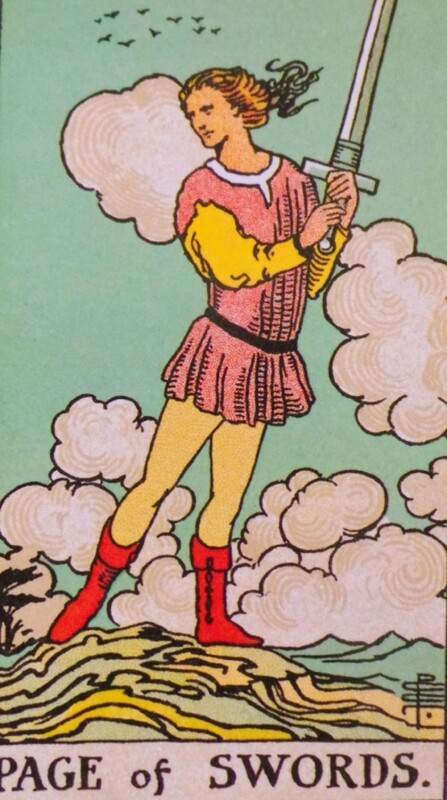 The Page of Swords is connected with communication, knowledge and mental ability. 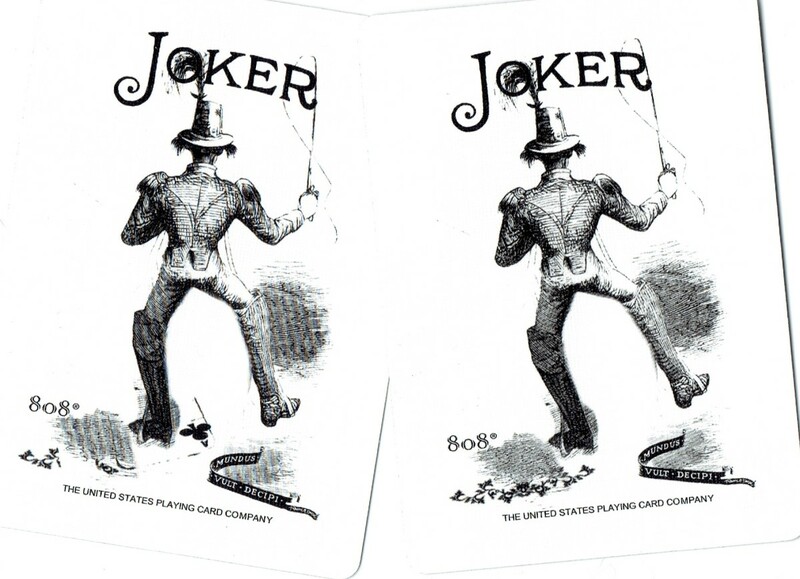 This card can also represent a real person, or aspects of a real person. 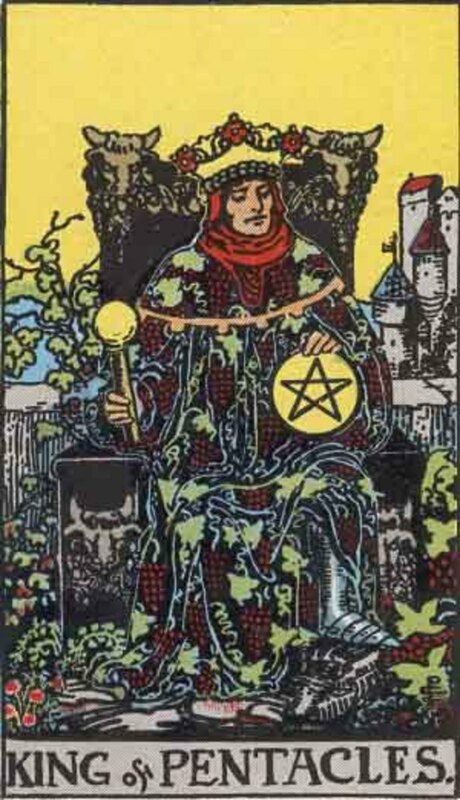 The Page of Swords is not an easy character and the card could indicate disagreement or even malicious gossip. Whenever I see the Robin Wood Page of Swords (see right), I think of someone who can dream up brilliant ideas and then bring them down to earth for us mere mortals to work on and make them reality. The Page of Swords is an ideas person. He (or she) is innovative, sharp thinking, acerbic, witty, abrasive, observational and argumentative. He is the one always asking 'Why?' and 'How? He wants to know everything and acts as though he already does. Older people are tormented by this page and think he should be put in their place. It's true that the page has an attitude that can put others on the defensive. The Page of Swords is often on a quest for truth, and like the other court cards of the swords suit, is very tenacious at getting to it. It's important to understand that this personality type is a little raw and ragged; that they will usually mature into clear-thinking, responsible adults once the rough edges are smoothed away. It is not your job to do this—life has a way of offering lessons to this page, and, thankfully, he is quick to learn. In the meantime, do your best to listen to the Page of Swords—he has unconventional and forthright views on life. Just because he may express them clumsily or arrogantly doesn't mean they should be discarded. He has a very incisive mind, and can often see right through superfluous detail to the solution. His ideas are right out there, often ridiculous but sometimes exactly what's needed. Let him express them. 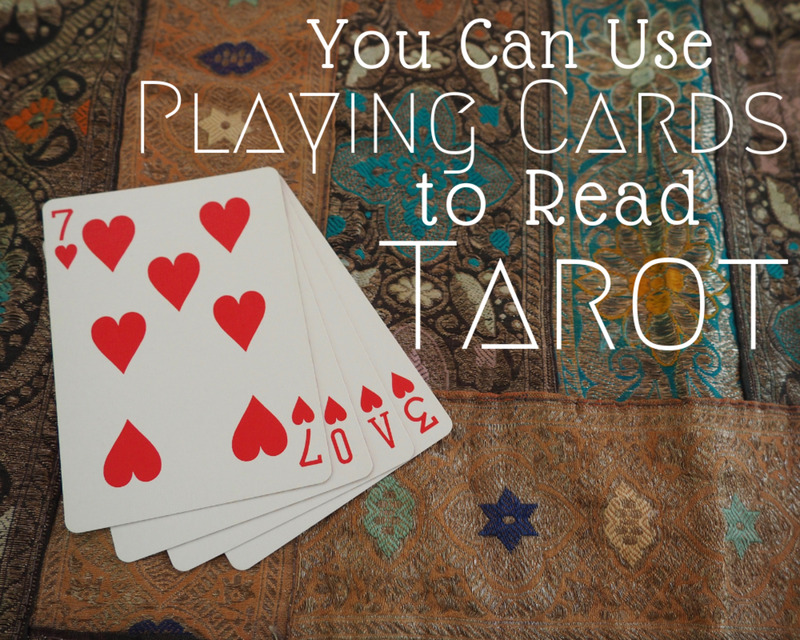 When the card appears in a reading upside-down, know that there is a problem here centered around communication. The reversed Page of Swords can be nasty, malicious, vengeful, gossipy, hateful or merely defensive and not able to think things through. It may be that the seeker, or someone they know, is acting/speaking impulsively, treating someone badly or telling lies. There may be unfulfilled promises, hasty reassurances or veiled threats. Think Draco Malfoy. If you think the card applies to yourself, watch your own behaviour, you may be about to make an enemy. A change of attitude may be in order – be a little more humble, a little more respectful. The Page of Swords is way too immature to be the love of your life. You can learn many lessons from this person – along the lines of this is not the way to behave, but never take any bullying behaviour. Once he or she has discovered your weak spot, they will exploit it mercilessly. Honest to the point of painfulness, they can occasionally be charming, but are way too self-centered to be considered as a long-term partner. Run! You are more likely to come up against the Page of Swords within your own family circle—he could be a child, a sibling, or someone you know at school or work. If you are close to a Page of Swords, you will have your work cut out for you. He is a difficult teenager but very often he will mature, almost overnight, and leave his Page of Swords persona for a much nicer one. 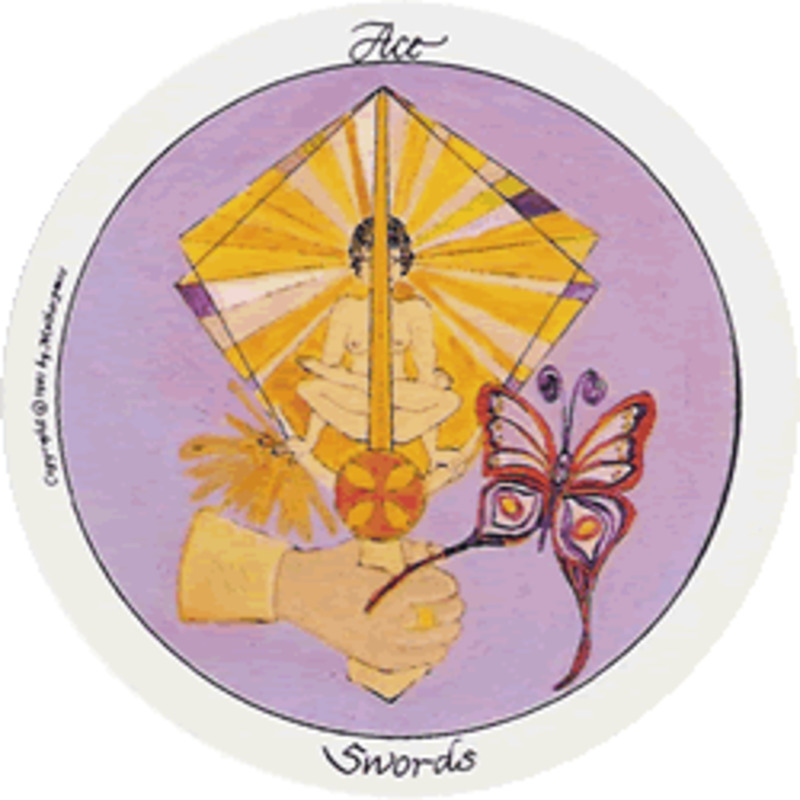 The Page of Swords can indicate that a new career is about to begin—usually in the realm of communication, including IT, journalism, technician or any other job where cognitive skill is required. Alternatively, if you are an employer or manager, then this could mean your bright and sparky new employee. 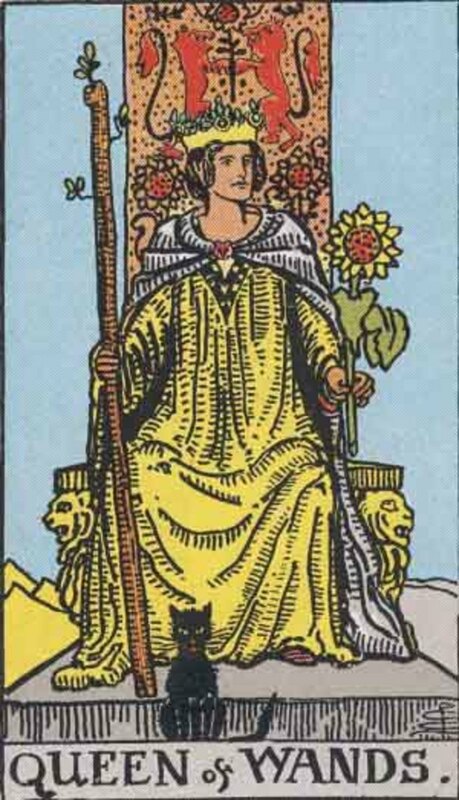 When connected to a reading about money, then this card warns you to think carefully before making any rash investments. It can also mean that you have a brilliant idea to increase your income, again, think it through first. Do you know a Page of Swords?